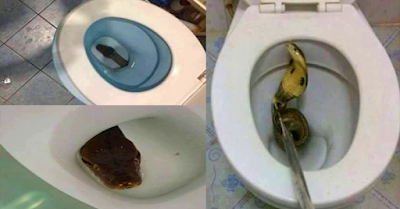 Warning: Your Toilet Seat Might Cause You Danger! SHOCKING! The restroom is the second portion of the house that I really love, after the bedroom. My friends and siblings always complain whenever I take a bath for like an hour and a half, but one way of releasing stress for me is staying in the bathroom while listening to my favorite music and making myself fresh with "princess-like" bath. However, the place that I treat as paradise can also be a killer. In times of fire, certain people rush to the restroom believing that it is a safe place since there are lots of water. Some people die in the bathroom by losing their balance because the floor is wet. Those are just common scenarios. 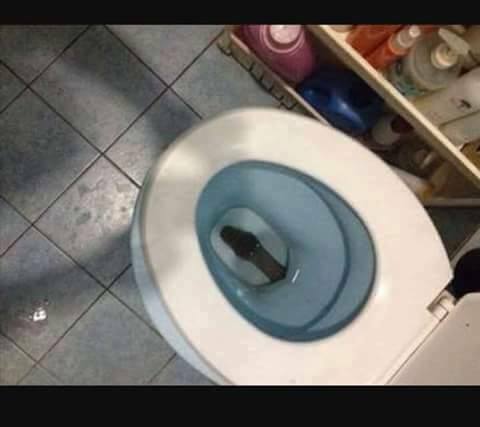 Unlike this unfortunate man, who experienced a very unusual situation while using the toilet. Jonjon Joson was very prompt in doing his necessity. He felt a sudden pain and blood rolling down his legs made his eyes pop. 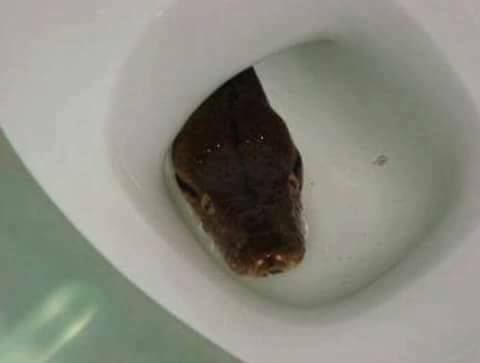 When he looked at the toilet bowl, he a saw a snake sharply looking at him. Apparently, he concluded he was bitten by it. 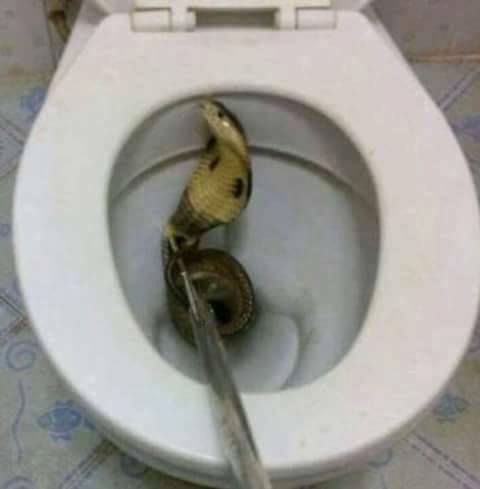 He actually posted the photos of the serpent in the bowl.